We humans are curious species, we wonder, we seek answers, so can we answer the greatest question of all: is there a meaning to life? You might think it is a philosophical question, but I believe science holds the key. The first person to make any real headway with this thorny question was a man by the name of René Descartes. 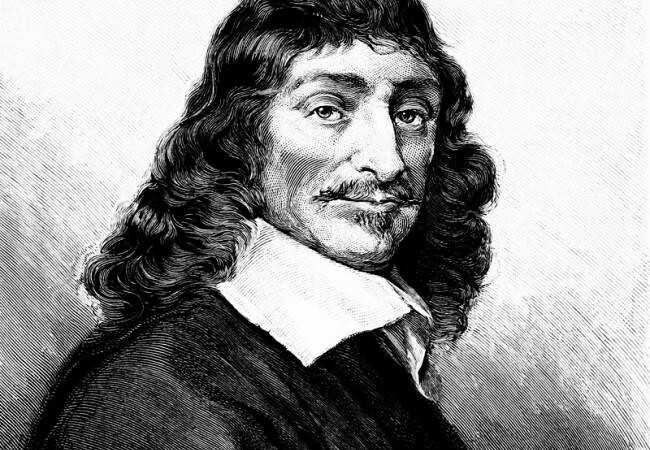 You may know Descartes as the father of modern philosophy, but I consider him to be a pioneering forefather of science. Descartes propose that humans are made of two distinct components: the body and the mind. He made careful anatomical drawings of the body. He saw it as a complex biological machine but he was certain the mind was different. He prove this with a simple thought experiment: he tried to imagine that he had no physical body as if he was floating around like a ghost, that was easy to do, even though it’s a little strange. Then, he tried to imagine having no mind, but he couldn’t. After all, with no mind how can you imagine anything? He summed it up rather neatly with the phrase: “I think, therefore I am.” He believed that the mind and the body are fundamentally different kinds of things. We now know that the conscious mind is created by the brain as a whole. An organ of such stupendous complexity, that I find it mind boggling. The human brain is far more intricate than you may realize although you would not be able to realize anything if it weren’t. It contains as many brain cells as there are stars in the Milky Way: 100.000 billion give or take a few. These cells are coupled together creating more connections than there are galaxies in the known universe. I see the human mind as one of the universe’s more wonderful creations. It’s understanding how the mind is aware of that universe that will lead us to finding out whether there is a meaning to it all. Finding out where the meaning is …. is a problem for science, and it means delving into why we have consciousness at all. Enter one of the greatest theories in science: evolution. We know all life on earth evolved from complex molecules called: amino Acids. These molecules collided randomly to create the first simple living things. Over billions of years this life forms became ever more sophisticated. Until eventually complex multicellular creatures, animals with brains, arrived. Complex animals need brains in order to process large amount of information. They need to be able to react to the world around them and even plan ahead. The more aware an animal is of its environment… The more successful it will be. Eventually awareness became so sophisticated that one animal became aware of itself, and that is what we are: self-aware animals. Animals that evolution has equipped with the ability to be conscious. But how is this possible? How can a biological structure possess the ability to think, to feel and to assign meaning to things? Not easy question to answer. But there are theories about how consciousness could arise. 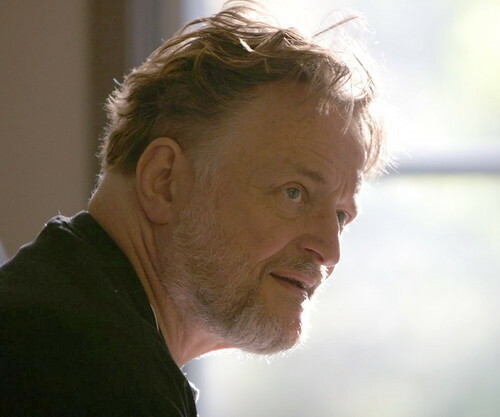 Back in the 1970s, an unexpected breakthrough was made by a mathematician named John Conway, here in Cambridge. He devised something called The Game of Life. A simple simulation that shows how a complex thing like the mind, might come about from a basic set of rules. The simulation consists of a grid, a bit like a chessboard, extending infinitely in all directions. Each square of the grid can either be lit up, which he called “alive” or dark, which he called “dead”. Whether a given square is dead or alive depends on what is happening in the eight other squares that surround it. For example, if a living square has no living squares nearby the rules say it’ll die of loneliness. If a living square is surrounded by more than three other living squares the square will also die of overcrowding. But if a dead square is surrounded by three living squares it becomes lit, or is born. Once you set an initial state of living squares and let the simulation run. These simple laws determine what happens in the future. The results are surprising: As the program progresses, shapes appear and disappear spontaneously. Collections of shapes move across the grid bouncing off one another. There are whole kinds of objects, species that interact some can even reproduce, just as life does in the real world. This complex properties emerge from simple laws that contain no concepts like movement or reproduction. It’s possible to imagine that something like the Game of Life with only a few basic laws might produce highly complex features, perhaps even intelligence. It might take a grid with many billions of squares, but that’s not surprising. We have many hundreds of billions of cells in our brains so I think the human mind and the meaning it creates, arise from a large complex system operating to very simple rules. Which means Descartes was right: The body and mind are different. three-dimensional model of the outside world: a best fit model that we call reality. This reality is much more than what we see around us in our everyday life. So, meaning itself is simply another piece of the model of reality that we each built inside our own brains. Love and honor, right and wrong… are part of the universe we create in our minds just as a table, a planet or a galaxy. It’s pretty remarkable to think that our brains which are essentially a collection of particles working to the laws of physics have this wonderful ability to not only perceive reality but to give it meaning, too. The meaning of life is what you choose it to be. Carl Sagan once said: “The universe contemplating itself. Meaning can only ever exist within the confines of the human mind.” And in this way, the meaning of life is not somewhere out there but right between our ears. In many ways, this makes us The Lords of Creation. Source: Stephen Hawking’s Grand Design.